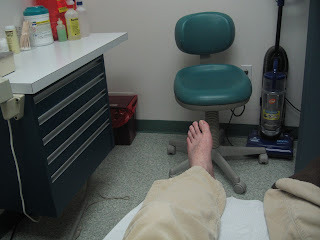 I went in today for my (hopefully) final check up for my toe. I've spent way too much time in this office (this is my 5th visit). But I'm getting my toes all fixed up, so it's ok.
Ending, beginning, in the middle. 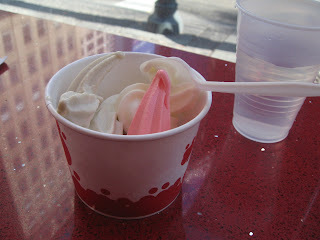 Doesn't matter, I could eat this frozen yogurt any time! I get it simple, without toppings because I like the yogurt so much. 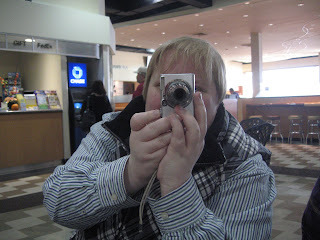 We went to lunch/dinner with Deb and Bud today at Brasserie 73 in Skippack. The food was fantastic. 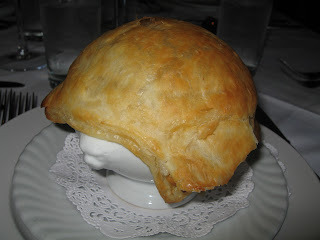 I especially liked this lobster bisque with puff pastry top. 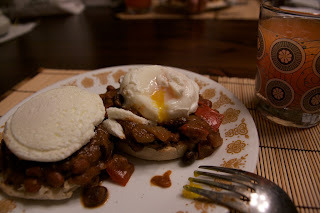 Tonight we made some poached eggs and put them over chili that we had made earlier and then put that all on an english muffin. It was divine. 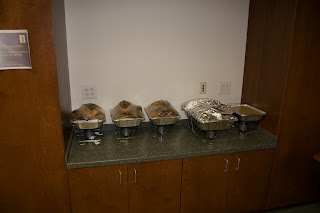 Every year, we have a big potluck Thanksgiving celebration at my office. 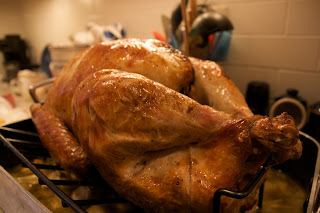 We get turkey, ham, and gravy catered, and then everyone brings a dish to share. I had minor surgery done on my toe today. When I got home, I turned around and saw red on the floor! 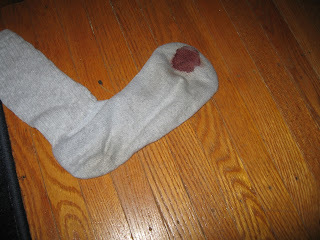 I bled through my sock and bandages. 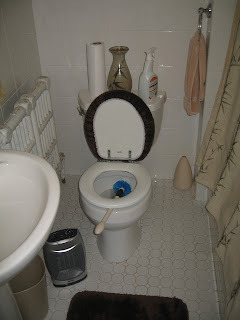 Eewww. 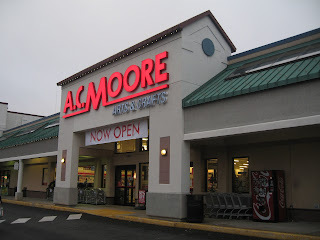 A new A.C. Moore store opened in Willow Grove. This is the best thing ever because they have such better stuff than Michael's! I see us going here a lot! 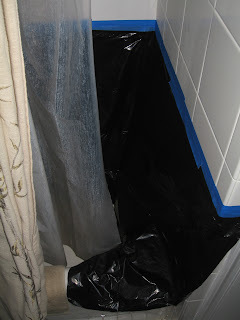 I worked on putting new caulk around the tub today - something I've been avoiding forever. Unfortunately, I got clear caulk, so it looks kind of funny. Oops. 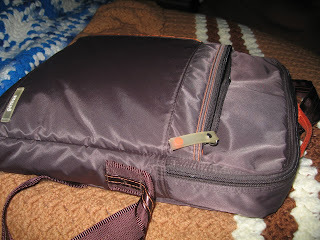 My small bag that I use to carry my essentials is quite full. 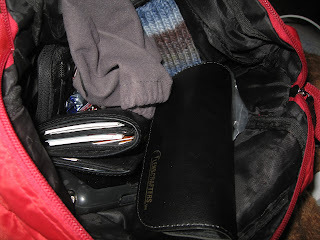 It's a bit of a mess because I just throw everything in the one main compartment. The bag was $5 in Japan. 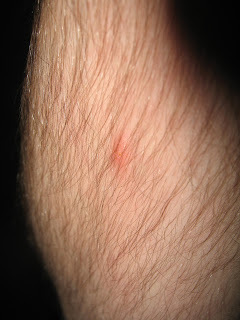 I took this photo of some kind of bug bite on my arm but I have no idea what it was from. Maybe it was something else entirely. I guess we'll never know. Strange. 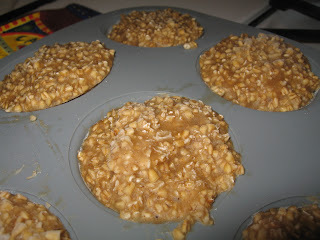 Once a week or so I make a batch of 6 servings of steel cut oatmeal and I freeze in in a muffin tray. It's awesome because then I can have breakfast at work all week. This is the cute bag I got from Target a few years ago to carry around my Macbook. It lives next to my bed and is always ready for me when I need it! 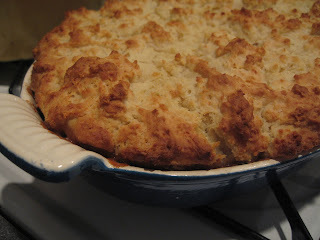 I made the Wild Mushroom Cobbler tonight from the New Vegetarian Epicure. This is possibly the best food in the whole world! Thanks for the book, Adina! 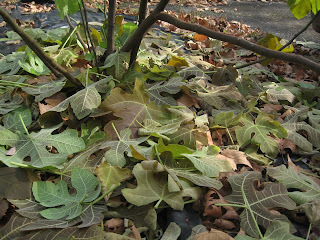 Look at the beautiful fig leaves! I love how they have this purply color along with light green veins running through them. 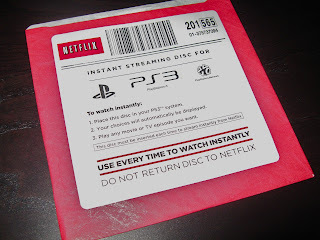 We received our Netflix PS3 Streaming disc. 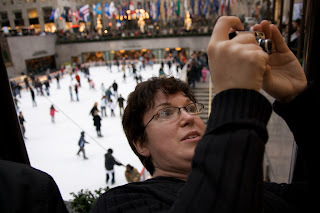 It is totally amazing! We can watch all of Netflix's Instant Watch media directly on the TV. Some even in HD! 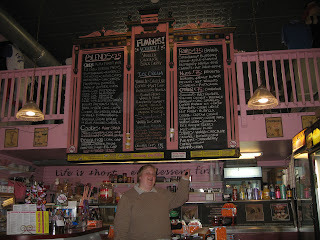 We met Adina and Steph for dinner tonight in Philly and afterwards, we went to one of our favorite places. Scoop de Ville! Nom nom nom. 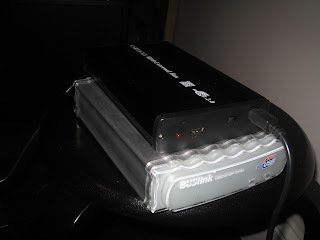 Here are my 2 external hard drives that total 2 TB of wonderful amazing storage. 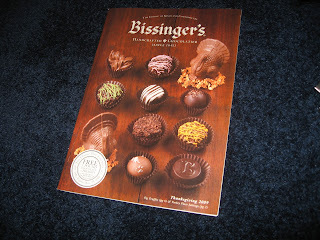 Heather introduced me to Bissinger's a few years ago. Their chocolate covered fruits are amazing. Look how wonderful these chocolates look!! 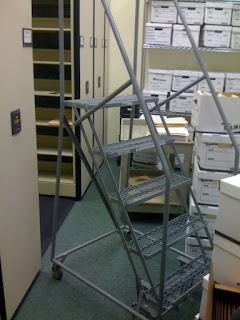 This is the file room at my office. 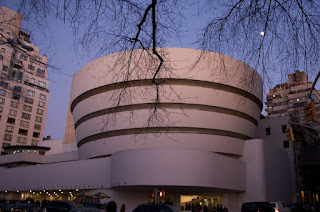 On this particular day,it was almost impossible to get in because of all the boxes and the stairs. There was a lot of candy left after Halloween, I think because it starrted pouring so everyone went home. We got to watch the Phillies game as a result!